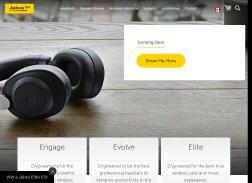 Jabra is a global producer of innovative headset and speakerphone solutions. Save up to 50% on Selected pre-Black Friday deals. Including Jabra Move Wireless, Jabra Elite Sport, Jabra Sport Pace and Jabra Style.